A company known for niche design programs ventures into the mass market. But why? Autodesk does well-over $2 billion in annual revenues, but unless you’re a designer, you probably don’t know the company: They produce sophisticated programs, often costing thousands of dollars, which are necessary tools in design professions ranging from architecture to digital animation. So it’s a bit of surprise that lately, they’ve been fooling around with iPad and web apps geared towards a mass audience. Some of their offerings include Sketchbook, an iPhone/iPad app that’s been downloaded almost 2 million times; and Homestyler, a web app that lets you create and decorate a 3-D model of your home. Yet despite those successes, those products seem piddling against yearly profits of over $200 million. 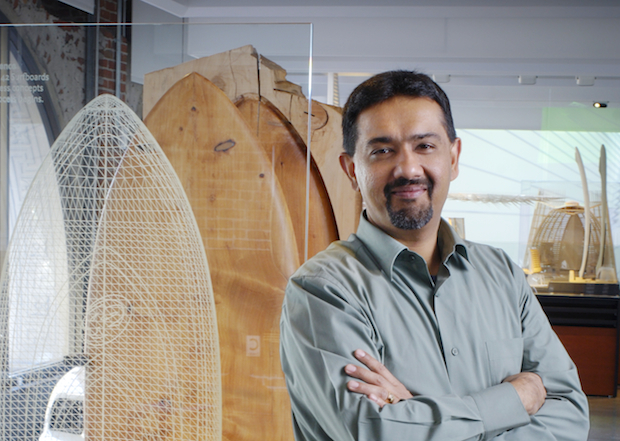 FastCompany.com recently spoke with Amar Hanspal, Autodesk’s SVP of emerging business, about what those ventures portend for the company’s future. Why dabble with consumer focussed stuff? Well, in the last 25 years, user interfaces have morphed to a point that we can reach people in an easier way. You don’t have to expose people to all the complexities of the programs. So while we’ve historical served design pros, we saw an opportunity to include people directly into the design process. But for AutoDesk, is that something more than marketing? On one level, we’re hoping to make it easier for the customers of customers–that is, the people working with architects and designs–to be a part of the actually design process. For example, we have Homestyler, a web app that lets you decorate a 3-D model of your home. If someone can articulate what they want visually, that lets them have a conversation with an architect or interior designer that they might not be able to have before. Moreover, it allows us to be in a new business: Homestyler is actually a way to help product manufacturers market their products. It’s kind of like a Polyvore for the home, in that it allows someone like Crate & Barrel to get out there in a new way, and it creates an entirely new source of revenue for us. Yes, but let me take a step back. Really, for the past 25 years we’ve been democratizing design tools. It used to be that you had to have a lot of training to use most of our products. You still do, but the barriers to entry and lower. Today, we’ve been looking at people’s needs, and what they design on their own. There’s a huge population of people interested in that. People create art, or concepts, or ideas, or a chair that you want to make. It turns out that what we’ve built for car companies can actually be packaged in a way that lets you sketch out an idea while you’re riding the bus. We realized that you can actually have a really nice business around content creation on a new generation of devices. So it’s not a marketing scheme, but rather an unmet need for design tools geared to a whole different audience. So do you have a viewpoint about how design tools are going to be used 5-10 years from now, that’s guiding your product development? Yes, I think you’re going to see individuals becoming independent designers. Take 3-D printing. At the extreme level, you could imagine that in five years from now, you could sketch out a chair and take it to the future equivalent of a Kinkos, to have it manufactured for yourself. That’s the we the puck is moving. Social networks are another thing, and they’re created a new demand for purely digital art. People want to express themselves through their social networks. So, what does that mean, in terms of future products? We’re going to build our portfolio and strengthen our products, but at this stage, we’re only comfortable sharing the broad brush strokes. We service film and games through Maya, and we serve architecture and manufacturing through AutoCad. So you could see modeling. And we might be taking more an educational bent, using our moviemaking tools to help kids tell stories.